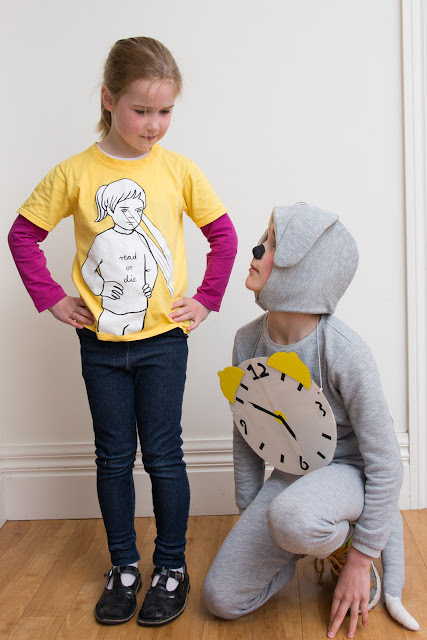 Last week the kids had their annual Book Week with the parade that involves dressing up as a book character. Now, as you may already know I'm not one for passing up a chance to make a costume, and I'm absolutely fanatical about books, more books, great books and reading. This year I was pretty busy and so the costumes were kept simple, but we stuck with the reading theme (no superhero characters that happen to have a merchandise colouring book tie-in will get past me as book characters. No sir.). Marisa recently posted a lovely dress for her daughter on her blog, ThirtyNine, and in the comments section a discussion of books for reading aloud to kids kicked off. The conversation continued via email between Inder, Rachel, Marisa and I, and I'm happy to say I've found quite a few new recommendations for books to read. Coming from different parts of the world we all have very different experiences of being read to and which books floated our boats back then, and which still do now. One that I recently saw on a shelf in a bookshop is The Phantom Tollbooth (by Norton Juster). It looked vaguely familiar and when I picked it up and read the dust jacket it all came back to me. This was a book from my childhood. The main protagonist is called Milo, and as that's my nephew's name I instantly bought it. Well, once the kids and I had read it together we were never going to give it away. So, I bought another copy for Milo, whose birthday was last month and posted it off, along with another outgrown coat (his biennial sewing gift :) ). In the story Milo travels to two cities, Dictionopolis and Digitopolis in search of twin princesses, Rhyme and Reason. It's full of verbal puns and number games and I often had to show the kids the writing on the page for them to get the joke. 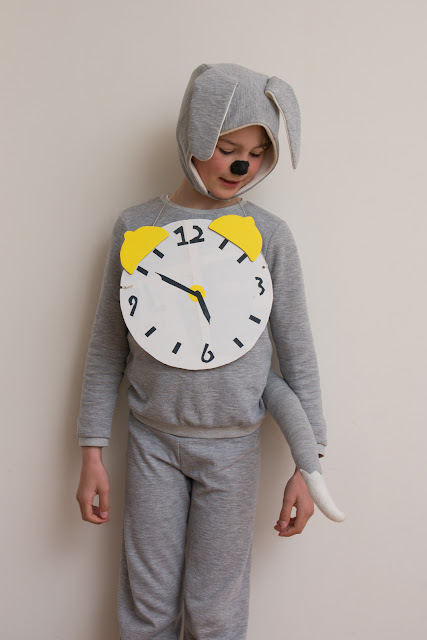 Well there is no greater time waster than my nine year old boy, so, loving the irony we went ahead with a costume. The grey tracksuit that was first an elephant, then a mole, and is in regular use as pyjamas, could serve duty as a dog suit. Luckily, I had kept these small and probably otherwise useless remnants of the same fabric, and from that came a hood with ears, and a tail. 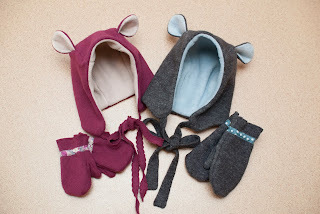 The hood is the largest size of the Cozy Bear Hood from Little Things To Sew, just with some ear modifications. The tail was just a tube closed at one end, turned and stuffed then attached to waistband elastic. I was very happy that A was willing to not dress up as a character, but to wear a T-shirt that my brother had given her for Christmas last year. It cracks me up. And to get in the right frame of mind she practised her "Read or Die" laser eye death stare on our new pet dog. On an afternoon off work I went through my wardrobe and did a big clean out of things that didn't fit, that I didn't like or just that never got worn. I was never going to repurpose fabric, I have to much to be bothered with that and most of the garments might be perfectly OK for somebody else. So a lot of it went to the charity shop. The only thing that was chopped up was this trial run of a dress, as I knew the skirt portion would be perfect for jeggings. I used the Oliver + S Playtime Leggings as the base pattern, size 6 maybe? I forget. Anyway I didn't have enough fabric length for the full leg, so I added a cuff at the bottom. At the top I decided I wanted pockets, so I used the pockets from the After School Pants pattern in whatever size I had drafted, maybe size 4? The way the Playtime leggings are constructed is that the top of the waist is folded to the inside to make the waistband casing. That wouldn't work with my additional pockets, so I added a waistband of ribbing. Which, had I thought about it, meant I didn't need a good few inches of height at the top of the pattern and could have moved them on the fabric and got the hem length afterall. Anyway, I like the cuffs, so lets call them a design feature. I took some off the top but with the added waistband they are still higher rise than the pattern intends. It doesn't show well in these pictures but I used the twin needle to double topstitch all the "jeans" seams. That way the seams still stretched. They've turned out to be very practical pants and dressed up with a fancy coat they look ok! My friend Morag has put in a request for last year's outfits to appear on the blog (previously only on Instagram). 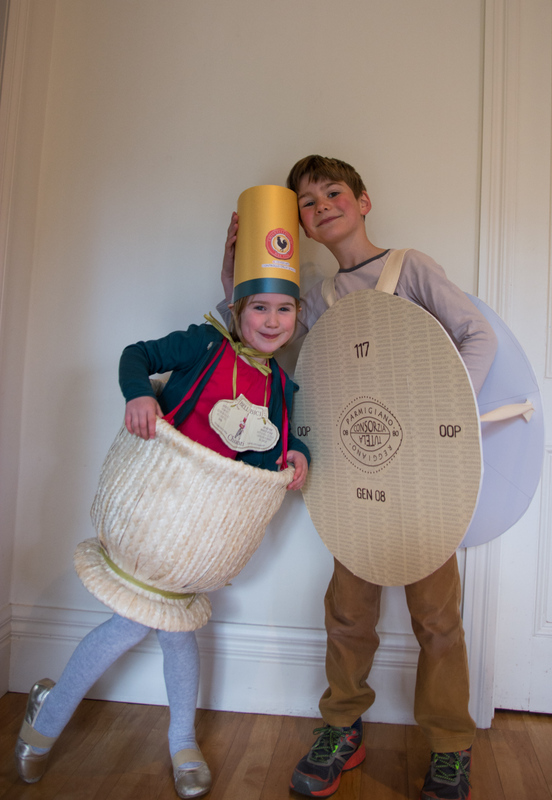 So here's what you can do with two sombreros, a plastic laundry basket and some cardboard - why you can make it into a flask of Chianti Classico and a round of Parmiggiano cheese! Ooh, I love the costumes and their simplicity Shelly. 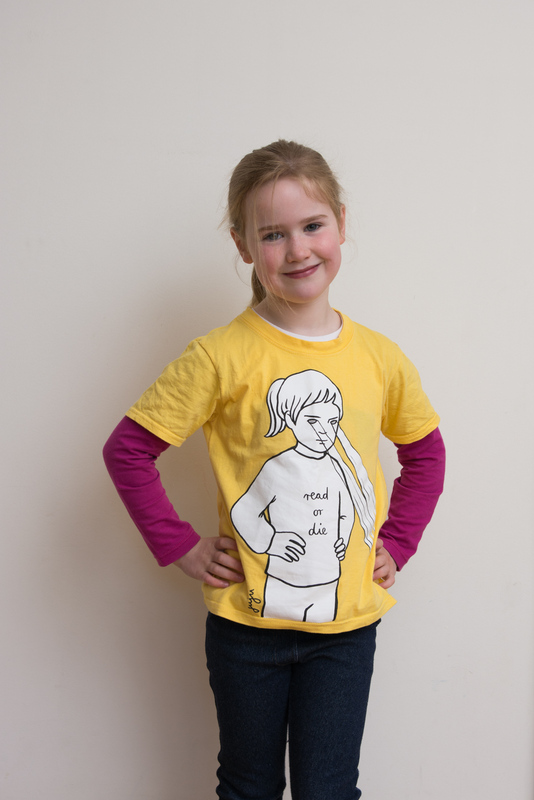 I know my kids too would get a kick out of wearing clothes that were a spin off on book characters. I am definitely going to look up the book you post there since we are major book lovers here too, and both reading and being read to is happening simultaneously. (The older one who is about your son't age, is currently cracking up on Alice in Wonderland as we go through the fantastic edition by Pook press). I am yet to make the leggings, shame on me, but the girl needs pants so might approach them sooner rather than later. Yours look fantastic and i like the addition of the band at the bottom! Thanks Asmita. P loved Alice in Wonderland too. He had just learned to play chess and so all the chess references in Through the Looking Glass amused him no end. 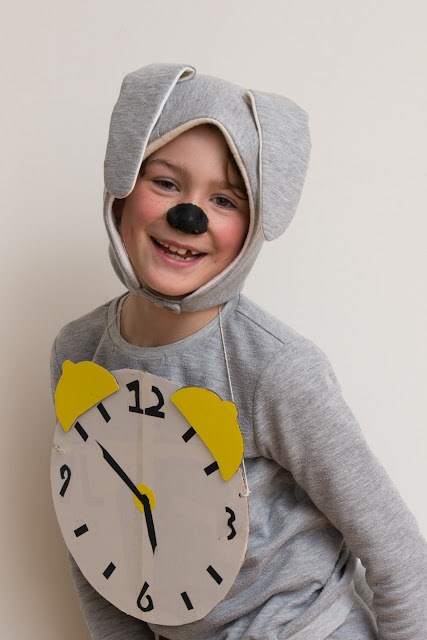 Definitely check out The Phantom Tollbooth, it's such a clever book in the same way, but curiously, the author is reported to have never read Alice in Wonderland prior to writing it. Leggings are so easy it feels like cheating! I am looking at these leggings again, and I have a quick question: in order to attach the ribbed waistband, you also chopped off a bit of the top of the pants, correct? Roughly the same as what would have been folded down? Sorry this might be obvious, but thought I would ask. Yes, you need to trim off the 1" that would fold in, then the height of your waistband less 1/4" for seam allowance. That's detailed here: https://oliverands.com/community/blog/2016/11/how-to-add-cuffs-to-knit-patterns-to-make-pajamas.html where I wrote a post about making pyjamas. Now I'm going to admit I was not following my own advice, and while I trimmed off 1" I didn't remove the height of the waistband, so these are quite "high rise" jeggings. Got it! Thanks Shelly. And I will not go and check that post. And high-rise or not these are fantastic. Love seeing the costumes you come up with the for the kids, P looks great and so does A for this year and also last year's Italian festival.